Estate planning involves much more than merely preparing a will. Furthermore, Trout, Ebersole & Groff, LLP does not believe that it should be treated with a "one size fits all" philosophy. Estate planning is a unique process through which we assist families in creating, using, preserving, and protecting their wealth. The goal is to improve the client's welfare and comfort. At Trout, Ebersole & Groff, LLP, we assist families in pursuing family harmony while achieving the client's estate planning objectives. We continually work with our clients' attorneys and financial advisors to comprise an effective estate planning team while creating a personalized estate plan. 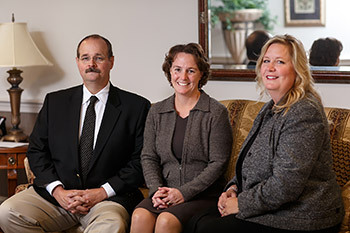 Trout, Ebersole & Groff, LLP has significant experience in estate planning. Our firm's commitment to personal, timely, and value-added services is the key to our tremendous success in assisting our clients with their estate planning needs.